Welcome to my tarot beginner's guide. You will find, that tarot reading can be simple and that almost everyone can benefit from its creative potential. The way from beginner to the master is long, but even small steps can have great positive impact on your life. If you are impatient, you can start with my Free Online Tarot Reading right now by clicking the cards bellow. If you want to know the most basic advices for tarot reading beginners, please continue reading this guide. What You Should Know Before Your First Online Reading? Divination: the tarot card reading is usually not a mean of divination. Above all because the future is not fixed and we influence the life path with our everyday deeds. You should consider tarot as a tool for discovering positive and negative influences in your destiny. Therefore tarot reading can be helpful to get you ready for possible future scenarios. Decision making: the tarot cards will not solve your problems. A psychic, tarot reader nor anyone else should make decisions for you. Tarot reading is suited to obtain relevant opinions and guidance. You can not give up the responsibility. On the contrary, you have to use your intellect during every tarot reading, because you will face the consequences. Simple answers: please do not expect simple answers during a tarot reading. Life is not simple, therefore solutions of important issues are rather complicated than simple. Moreover, to obtain accurate answer does not mean to obtain simple “Yes or No” answer. The answer should be adequately complex as is the issue, you want to solve. Immediate help: it is not wise to look forward to some rapid effect when reading the cards. Tarot is a specific language (each card is a symbol) and as with any other language, it takes time to learn thoroughly meaning and message of each card. Proper tarot deck: there are many tarot decks (Marseille Tarot, Rider-Waite Tarot, Thoth Tarot etc.) When you do not like one deck, try another. 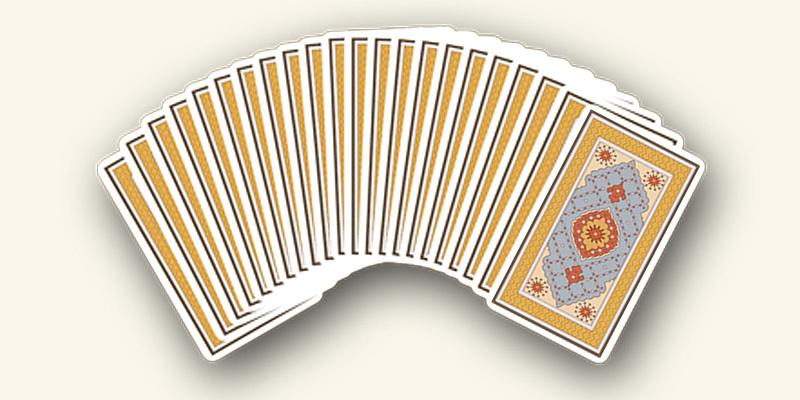 There is large amount of tarot decks on the internet. Surely you will find the right one. Feedback: it is always very hard to separate your own desires from the objective meanings, therefore it is better, when you do not make your readings alone. Perform the tarot reading in pairs or groups can bring more honesty and also fun into your readings. If it is possible, find somebody with an open mind, who will give you the right feedback. Repeating: doing readings about the same subject again and again is a big mistake. It is better to think about the reading's message each day than to repeat the same reading until the expected answer comes. If you start the online tarot reading, you do not have to worry about shuffling the cards. The computer shuffles the tarot cards instead of you. It is easy, but to be sincere, you will be missing a piece of genuine experience. To hold real tarot cards in your hands is always better and it can be sometimes important. From time to time a card can drop during the shuffling and you should not regard such incident as a pure coincidence. On the contrary, the card that dropped is always important and need to be perceived as some hint or suggestion to the later reading. However, free online tarot reading is most simple and is usually used as an entry level for further personal tarot readings. Therefore you are spared all the problems with cards shuffling in online tarot reading. Instead of “Will I stay alone forever?” ask “What can I do to find true love?” and so on. Try to be active in your approach. If you want to know more about accurate answers, read more about how to ask during a tarot reding. There are several options, how to perform online tarot reading. I personally recommend the 1 card reading for every beginner. The major issue with more complex readings is, how you name the card positions. Lets take the three card reading as an example. The most intuitive way is to consider this three cards simply as past – present – future. Other frequently used sequence for three tarot cards is reasons – actual situation – prospects. But you can see that this kind of reading is not very far away from the original previous past – present – future scheme. 1. Hope: Which assets can you expect to come? 2. Adversity: Which dangers are threatening you? 3. Bridge: Which way to go? I think that this type of three card reading gives you the best opportunity to explore all future scenarios, but without using the straight future card position. Therefore I use it in more complex readings as the primary option. Here you can try my 3 cards reading.